Anna Paquin. Is. A. Bisexual. and yes, we knew it. In a new public service announcement to spread awareness for hate crimes, provided by the Cyndi Lauper-backed organization We Give a Damn, the “True Blood” actress revealed her true sexuality along with a host of other celebrities, regular, gay, homo and straight. 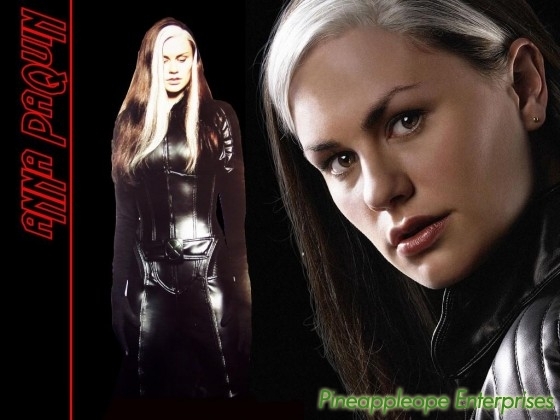 Back in 2004, Anna Paquin was caught groping, and being groped by a 6’4″ mystery blonde woman. So this comes as little suprise to most. Paquin, who is currently engaged to her “True Blood” co-star Stephen Moyer and Wanda Sykes joined Elton John and Whoopi Goldberg to encourage others to speak up on the need for equality. And those are far from the only A-listers attached to the project.